nine + = eleven Required Please enter the correct value. 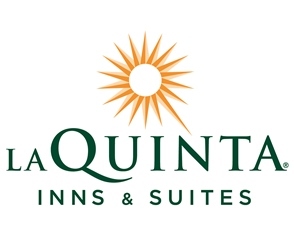 La Quinta Holdings Inc. (NYSE: LQ) stock was down in its first day of trading today (Wednesday) after the company's IPO price disappointed early investors. The company announced late Tuesday that it was offering 38.3 million shares at $17 each. The company had estimated offering 37.2 million shares at a price range of $18 to $21. 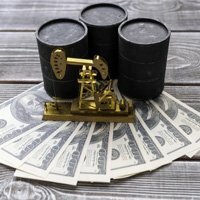 The $650 million the company raised through its IPO was well below the $725 million it would have raised at the mid-point of its initial range. The terms of today's IPO give La Quinta a market value of approximately $2.1 billion. Shares of LQ opened at $16.75 before falling to $16.32 in early trading. The stock has since rebounded and traded up 3% and as high as $17.65 on Wednesday morning. La Quinta is a mid-priced hotel chain that operates 830 locations with more than 84,000 rooms in North America. In 2013, the company reported sales of $874 million, which was up from $818 million in 2012. LQ is backed by The Blackstone Group (NYSE: BX) and is the third hotel company that Blackstone has taken public in the last six months, following the IPOs of Hilton Worldwide Holdings Inc. (NYSE: HLT) and Extended Stay America Inc. (NYSE: STAY). According to lodging-research firm STR Inc.'s Senior Vice President Jan Freitag, the hotel industry has shown strong signs of recovery since the end of the recession. Freitag claims that improving jobs numbers, increased business travel, and average salary growth have positively impacted the hotel business. "We sold more rooms than ever before in 2013," Freitag told Bloomberg. "We're seeing demand holding up pretty well. Unemployment is coming down slowly, personal income is going up and debt-service ratios for private consumers are at an all-time low. A lot of people had to cut back and now might be the time for travel again."